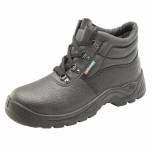 Dual Density Shoe Mid Sole Black Size 5 CDDSMS05 Pack of 1 Briggs Industrial Toesavers S1P Safety Shoe Size 5 Black 2414BK050 200 Joules steel toe-cap. Steel mid-sole. Padded collar. Anti-static. Conforms to: ENISO 20345-1 S1P. 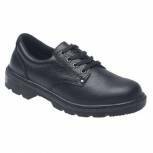 Dual Density Shoe Mid Sole Black Size 6 CDDSMS06 Pack of 1 Briggs Industrial Toesavers S1P Safety Shoe Size 6 Black 2414BK060 200 Joules steel toe-cap. Steel mid-sole. Padded collar. Anti-static. Conforms to: ENISO 20345-1 S1P. 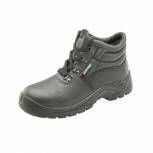 Dual Density Shoe Mid Sole Black Size 12 CDDSMS12 Pack of 1 Briggs Industrial Toesavers S1P Safety Shoe Size 12 Black 2414BK120 200 Joules steel toe-cap. Steel mid-sole. Padded collar. Anti-static. Conforms to: ENISO 20345-1 S1P. Dual Density Shoe Mid Sole Black Size 7 CDDSMS07 Pack of 1 Proforce Toesavers S1P 2414 antistatic safety shoe with Black leather upper. Features a steel midsole slip, acid, chemical and oil resistant sole and 200 joule steel toe cap. Sole is heat resistant up to 200 degrees centigrade. Size: 7. 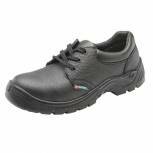 Dual Density Shoe Mid Sole Black Size 8 CDDSMS08 Pack of 1 Proforce Toesavers S1P 2414 antistatic safety shoe with Black leather upper. Features a steel midsole slip, acid, chemical and oil resistant sole and 200 joule steel toe cap. Sole is heat resistant up to 200 degrees centigrade. Size: 8. 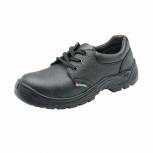 Dual Density Shoe Mid Sole Black Size 9 CDDSMS09 Pack of 1 Proforce Toesavers S1P 2414 antistatic safety shoe with Black leather upper. Features a steel midsole slip, acid, chemical and oil resistant sole and 200 joule steel toe cap. Sole is heat resistant up to 200 degrees centigrade. Size: 9. Dual Density Shoe Mid Sole Black Size 10 CDDSMS10 Pack of 1 Proforce Toesavers S1P 2414 antistatic safety shoe with Black leather upper. Features a steel midsole slip, acid, chemical and oil resistant sole and 200 joule steel toe cap. Sole is heat resistant up to 200 degrees centigrade. Size: 10. Dual Density Shoe Mid Sole Black Size 11 CDDSMS11 Pack of 1 Proforce Toesavers S1P 2414 antistatic safety shoe with Black leather upper. Features a steel midsole slip, acid, chemical and oil resistant sole and 200 joule steel toe cap. Sole is heat resistant up to 200 degrees centigrade. Size: 11. Mid Sole 4 D-Ring Boot Black Size 8 CDDCMSBL08 Pack of 1 Proforce anti-static safety chukka boots. Features 200 Joules steel toe-cap steel mid sole dual density sole leather upper and padded collar. Conforms to: ENISO 20345-1 S1P. Size: 8. Mid Sole 4 D-Ring Boot Black Size 9 CDDCMSBL09 Pack of 1 Proforce anti-static safety chukka boots. Features 200 Joules steel toe-cap steel mid sole dual density sole leather upper and padded collar. Conforms to: ENISO 20345-1 S1P. Size: 9. Mid Sole 4 D-Ring Boot Black Size 10 CDDCMSBL10 Pack of 1 Proforce anti-static safety chukka boots. Features 200 Joules steel toe-cap steel mid sole dual density sole leather upper and padded collar. Conforms to: ENISO 20345-1 S1P. Size: 10. Mid Sole 4 D-Ring Boot Black Size 11 CDDCMSBL11 Pack of 1 Proforce anti-static safety chukka boots. Features 200 Joules steel toe-cap steel mid sole dual density sole leather upper and padded collar. Conforms to: ENISO 20345-1 S1P. Size: 11.